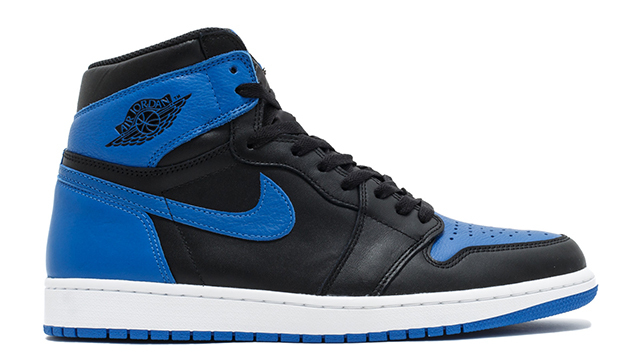 Like every year sneakers lead the conversation and play big role in the fashion culture. Which brand do you think had the biggest year? Can you get around and beat the heat that came from Nike? Adidas? or was it something else? 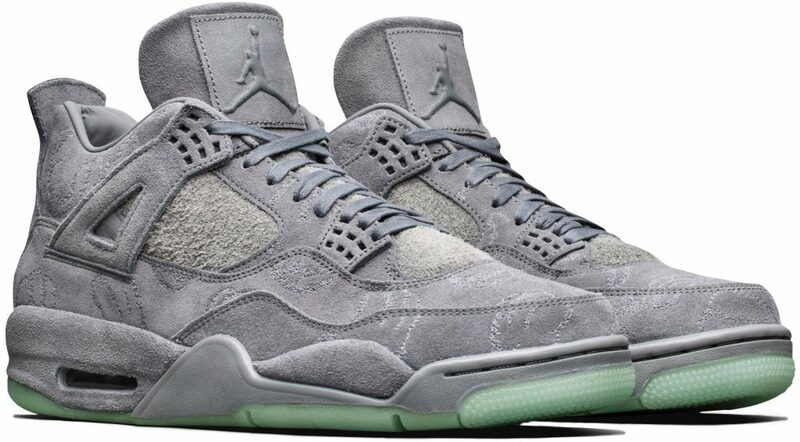 These are some of the most hyped and favorite releases of the year. There were some clear standouts, so hit the jump to weigh in below. After a few years of partnering with Vans, Tyler, The Creator expounded on a successful 2017 with the launch of a new collaborative line and signature sneaker with Converse. Dubbed the GOLF le FLEUR, the quirky musician placed a lively spin on the One Star silhouette, using a selection of bright colorways and flower motifs in true GOLFWANG fashion. This year, Nike SB aimed to revitalize itself through the launch of the jeffstaple-designed Dunk Low “Black Pigeon.” This model revisits one of the brand’s more infamous moments in its near 20-year history, when in 2005 the original “Pigeon” Dunk release forced the NYPD to shut down the campout just before its official launch, due to a limited supply and mass hysteria. Now, more than ten years later, jeffstaple gave his beloved creation a trendy black makeover. 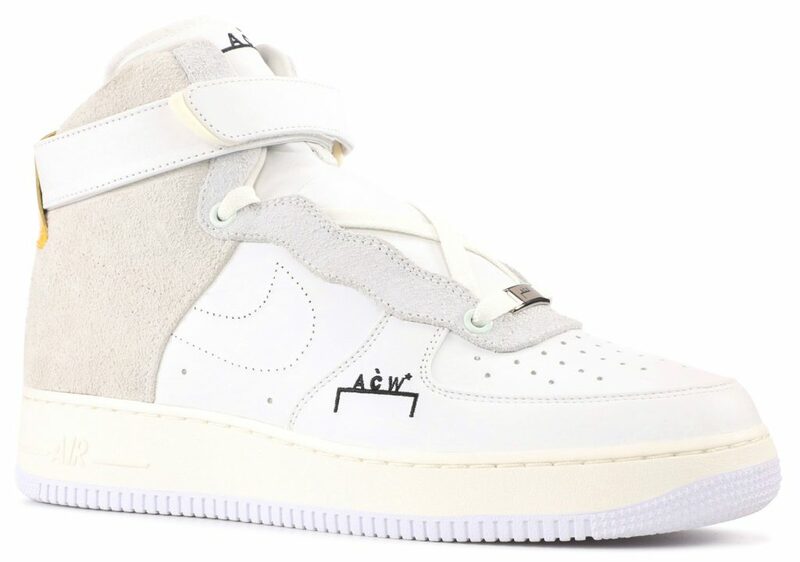 With its unveil at A-COLD-WALL*’s inaugural runway showing in January, Samuel Ross’sbespoke take on the Air Force 1 High brought 2017’s fascination with deconstruct-to-reconstruct front and center. The limited-edition “experiment,” as Ross put it, showcases a selection of premium quality materials and textures while paying tribute to Nike’s influence on design and culture by emphasizing the silhouette’s distinct parts. “A-COLD-WALL* and Nike individually offer unique, innovative, and curated products that celebrate design culture as much as street culture,” said Ross in an exclusive interview. This year’s Air Max Day not only celebrated the 30th anniversary of the iconic footwear technology but it also built onto its legacy with the release of the Nike Air Vapormax. This sneaker, with its wraparound visible Air sole and Flyknit upper, quickly became the model of choice for the ever-growing trend of elevated sportswear, giving Nike its unspoken answer to adidas’s BOOST. 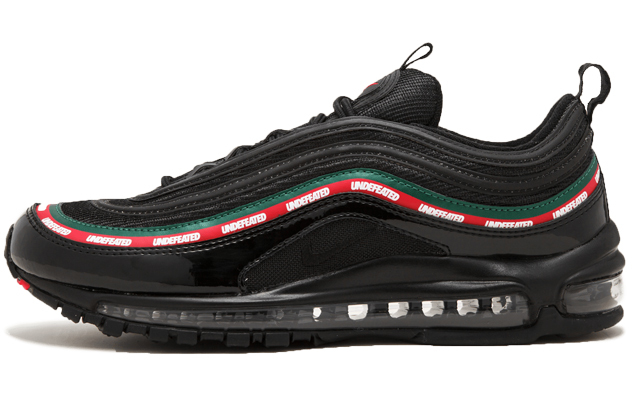 When it first arrived, the Air Max 97 was a futuristic style that sped ahead of its time. Today, Undefeated proves it isn’t slowing down. 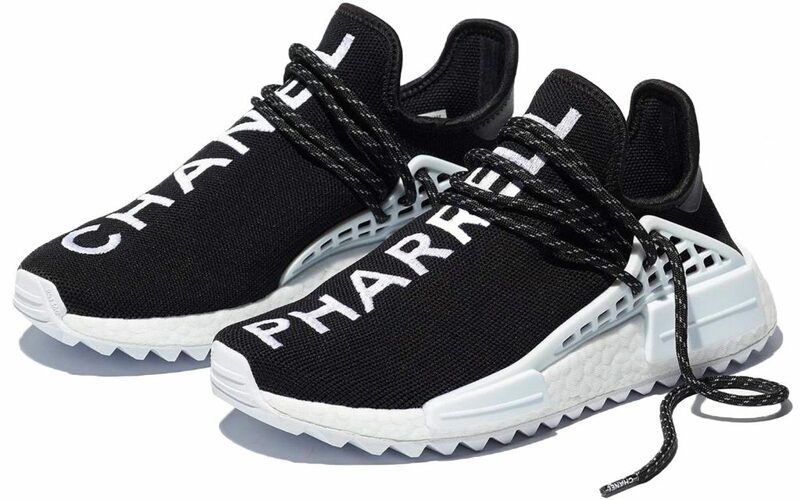 Having longstanding partnerships with both Chanel and adidas, Pharrell Williams, a mastermind of collaboration, brought the two unlikely brands together to release a special edition of his Hu NMD sneaker in November. The partnership didn’t stop there however, as the black and white model dropped exclusively at colette, marking one of the final collabs for the famed boutique before shuttering its doors for good. 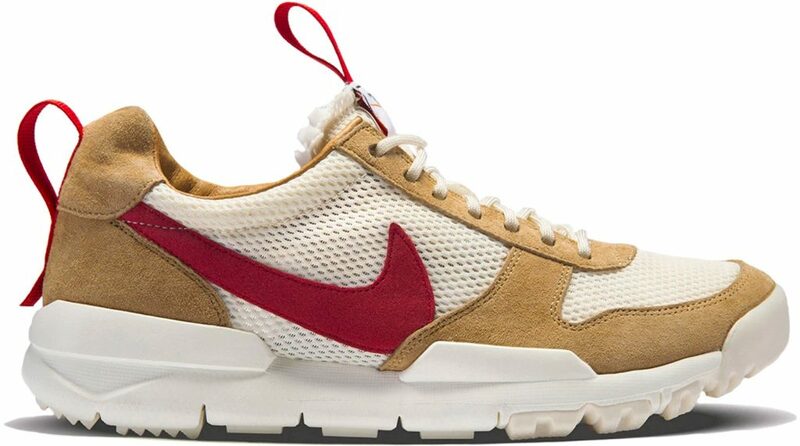 Back in 2012, Tom Sachs and Nike created the special NikeCraft Mars Yard for NASA mechanical engineer, Tommaso Rivellini, and after five years of wear-testing, it made a long-awaited return in 2017. Appropriately dubbed the NikeCraft Mars Yard 2.0, the Martian-inspired sneaker relaunched with a few material upgrades and accompanying interactive “Space Camp,” where patrons were expected to complete an hour-long obstacle course, testing both mind and body, before getting a chance to purchase the newly-coveted sneakers. Through his “THE TEN” collection with Nike, Off-White™’s Virgil Abloh found yet another avenue to bring DIY fashion to a mainstream audience, and no model was more in-demand within this collaborative capsule than his deconstructed Air Jordan 1. 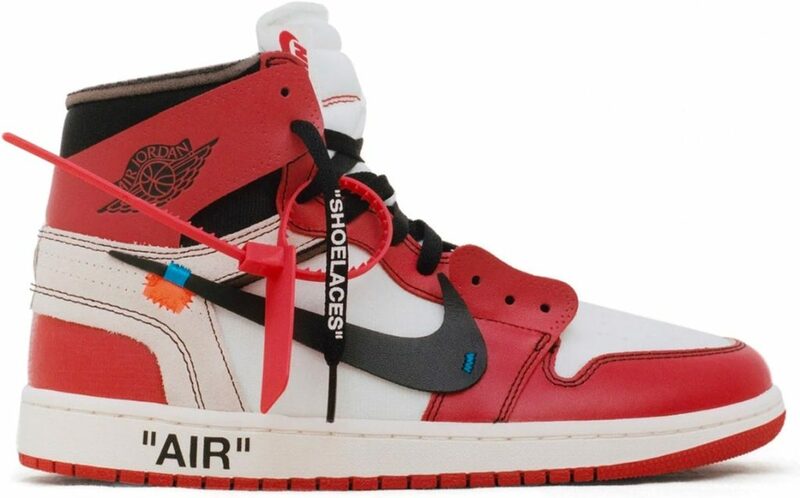 All it took was a little bit of curiosity, an X-Acto knife and the iconic AJ1 “Chicago,” and Abloh was able to reinvigorate the yesteryear spirit of customized footwear.